In November 2016, a New Zealand couple become the first people in the world to have pizza delivered by drone. In 1994, the Los Angeles Times Michael Schrage ran a story on Pizza Hut’s experimental service that let people order pizza from this thing called the World Wide Web. 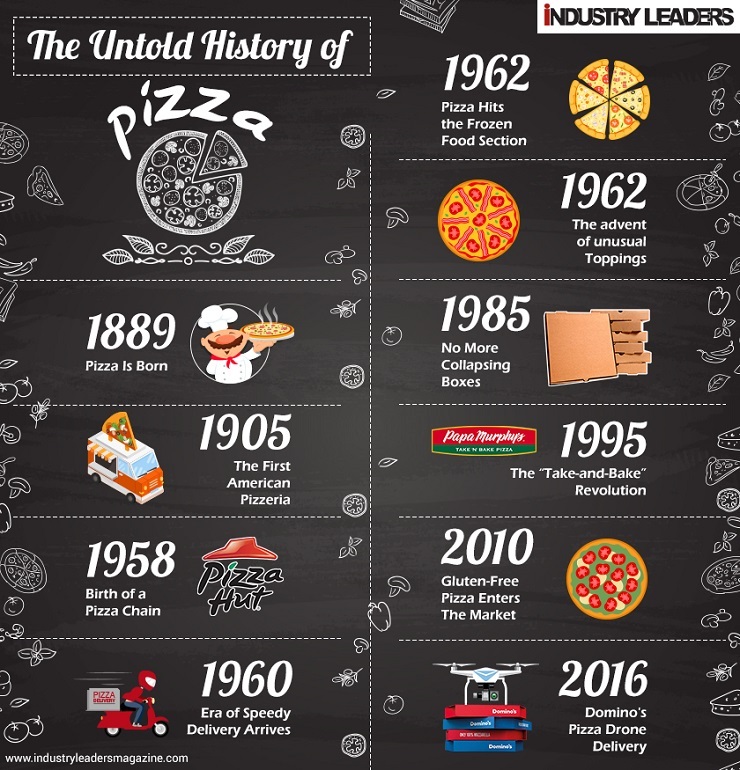 Let’s just say, we have come a long way from the delivery of the first modern pizza. In fact, the first modern pizza may also have been the first pizza ever delivered. And, something about the history of pizza delivery says that some creative entreprneur may have helped pizza become an American cultural staple. On June 11, 1889, 28 years after the unification of Italy, in honor of the visit of Queen Margherita of Savoy and King Umberto I, chef Raffaele Esposito of Pizzeria Brandi and his wife created the first and original pizza pie. The owner of the famous “Pietro il Pizzaiolo” assembled three pizzas and went off to do the first recorded pizza delivery. The pizza resembled the colors of the Italian flag, red (tomato), white (mozzarella), and green (basil). They named it after the Queen – Pizza Margherita. At that time, the Italian nobility called pizza “disgusting” and food for the working class. 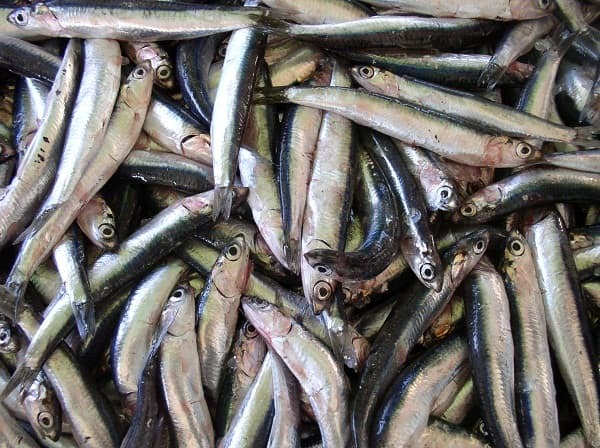 The Italian delicacy was cheap and easily prepared; often anointed with cheese, oil, tomatoes, lard, garlic, or tiny fish. It was Raffaele Esposito, the premier pizza-maker in the city of Naples, who made pizza one of the most recognizable symbol of Italian food culture in the world. In the 18th century, the flat breads called ‘pizzas,’ were sold to the poor all over Naples by street vendors. They were not topped with anything but were eaten au naturel. During her visit to Naples, when Queen Margherita, accompanied by her husband, Umberto I, took an inspection tour, she saw many people, particularly the peasants-class, enjoying this large, flat bread. Curious, the queen ordered her guards to bring her one of these pizza breads. Raffaele Esposito, a well-known pizza chef and owner of Pizzeria Brand, was also a shrewd marketer. One of the three pizzas he assembled, also happened to represent the red, white and green of the Italian flag, and hand delivered them to the Queen. Queen Margherita was won over by the display of patriotism and declared this pizza her favorite and thus Margherita pizza was born. In fact, the queen loved the bread and would eat it every time she was out amongst the people, which actually caused some consternation in Court circles. You see, it wasn’t very royal to dine on peasant’s food. Nevertheless, the queen loved the pizza and had the whole world gorging on it two centuries later. Raffaele Esposito made a pointed pivot toward patriotism after Queen Margherita summoned for him to bake a selection of pizzas for her pleasure. To this day, pizza remains the king of delivery, with over one billion pizzas delivered a year. How do you turn a small venture into a major company? Here’s a hint: Believe in the power of word of mouth. The best brand ambassadors are the people who believe in the work you do. So, find people who’re passionate about the things you do, and they spread the word about your product for you. At the end of the day, the key to a successful brand is having a great product and an exciting story to tell. Had Raffaele not crafted a pizza that mirrored the colors of the Italian flag, it would not have become an overwhelming hit with the Queen. According to Forbes, a study by Goethe University noted that “people tend to have a stronger attachment to an organization if their friends or acquaintances share a bond to the same establishment.” When word got out that Raffaele’s pizza was one of the queen’s favorite foods, it became even more popular with the Italian people. 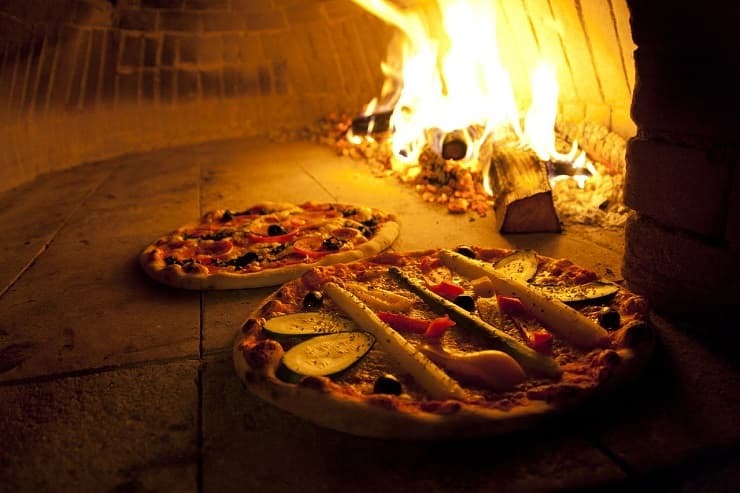 Pizza Margherita is a culinary tradition, which lasts to this day in Naples, and is now spread throughout the world.